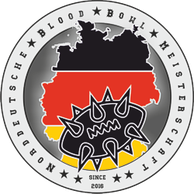 The Berlin Chaos Edition is a 2-Day-Tournament in November, using the Competition Rules pack with NAF tournament changes in line with Blood Bowl 2016, Death Zone 1 & 2 and Star Players from Spike Magazine. 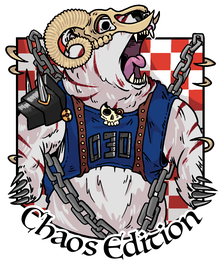 With our Chaos Edition we try to break new ground; for example: At least one Star player in each team is mandatory and there will be random additional mutations every round on two players. All Coaches start each game with the same roster and skills the registered before the tournament. Parings will be determined by the swiss system except round 1. 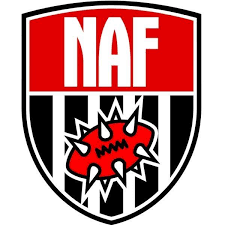 The Champion of the Chaos Edition will be determined by a classical final game between the two players who are ranked upon the 1. and 2. place after game four. The winner of this game will be crowned as "Champion"; his opponent will gain the title "Runner-Up". Your team must consist of painted models. We recommend to use skill rings. Opponent-Score (next is Netto-TD + Netto CAS) will be the relevant tiebreakers. In case there will be more than 11 players on the pitch and the Kickoff has occurred, randomly the additional players will be chosen by a D16 and that player will be removed from the pitch into the reserve box.